Read this book for my english classes, for my FCE next year. It was too easy, actually. I don't get why people like this stuff. I only liked the ending, (view spoiler)[ where everyone died. (hide spoiler)] that was how I'd have written it. Worst book in its category! Difficult to understand, due to many shortcut words... But all in all a very interesting and suspense creating story. 2,5Tot i ser una lectura obligatòria, m'ha agradat més del que esperava, i fins i tot he sentit un interès real per saber el final. Used it with my EFL students. 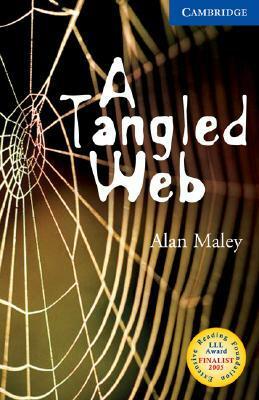 Alan Maley - Alan Maley worked for The British Council from 1962 to 1988, serving as English Language Officer in Yugoslavia, Ghana, Italy, France, and China, and as Regional Representative in South India (Madras). From 1988 to 1993 he was Director-General of the Bell Educational Trust, Cambridge. From 1993 to 1998 he was Senior Fellow in the Department of English Language and Literature of the National University of Singapore, and from 1998 to 2003 he was Director of the graduate programme at Assumption University, Bangkok. He is currently a freelance consultant, and Series Editor for the Oxford University Press Resource Books for Teachers series.His publications include Resource Book for Teachers: Literature, Beyond Words, Sounds Interesting, Sounds Intriguing, Words, Variations on a Theme, and Drama Techniques in Language Learning (all with Alan Duff), The Mind's Eye (with Françoise Grellet and Alan Duff), Learning to Listen and Poem into Poem (with Sandra Moulding), Short and Sweet, and The English Teacher's Voice.